What is Star Inflation in Crash Test Ratings? That’s a little disturbing: a car salesman telling a potential customer that she shouldn’t worry about the star safety rating on a car that she likes. But why would he say it if it isn’t true? Is he right? 96% of cars tested since 2011 have received either a 4- or 5-star overall rating from our federal government. That certainly doesn’t leave much room for differentiation. Does this mean that all cars offer a similar level of protection? Not exactly. The fine print on the NCAP ratings is that ratings can only be compared between cars of a similar weight and class. This means that a 4-star rated subcompact car (e.g., a Smart ForTwo) should not be compared to a 4-star rated full-size SUV (e.g., a Chevrolet Tahoe). Not all 4-stars are created equal. The Auto Professor has analyzed years’ worth of real crash data to help consumers make meaningful comparisons. When NHTSA-tested cars from model years 2011-2017 are examined using Auto Grades, the pattern reveals quite a different picture. 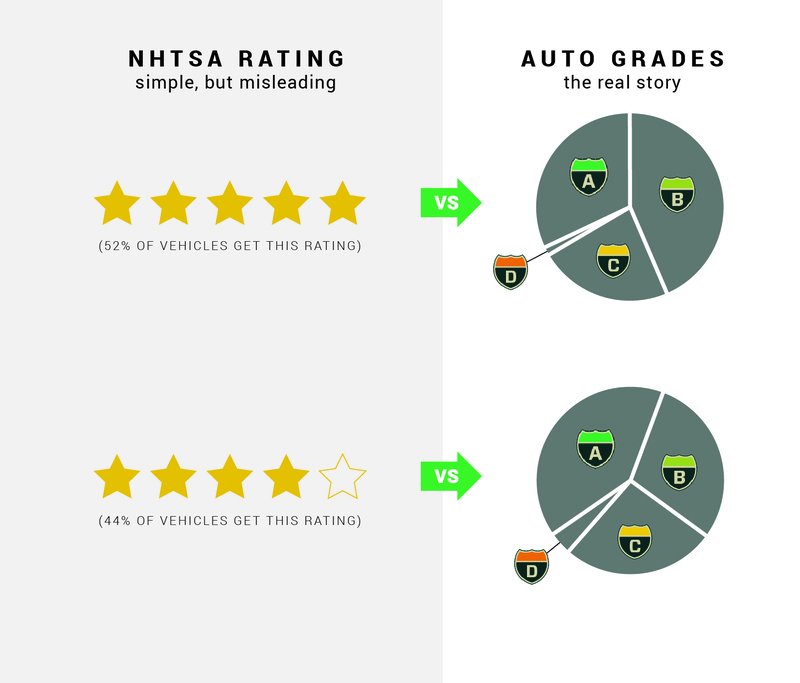 The 52% of cars that NCAP rated as 5-stars receive Auto Grades ranging from A to D, as do the 44% of cars that NCAP rated as 4-stars. NCAP’s overall star rating is heavily weighted on the frontal crash test, which simulates a head-on collision between two cars of a similar weight and class. It is easy to see that while a Smart ForTwo may do a good job of protecting its driver in a collision with another ForTwo, it is unlikely to protect its driver in a head-on collision with a Chevrolet Tahoe. The NCAP rating is simply not sufficient to tell you how a car will perform on the road in combination with all the other cars big and small. Learn more. Auto Grades differentiate where the star-based crash test ratings do not. 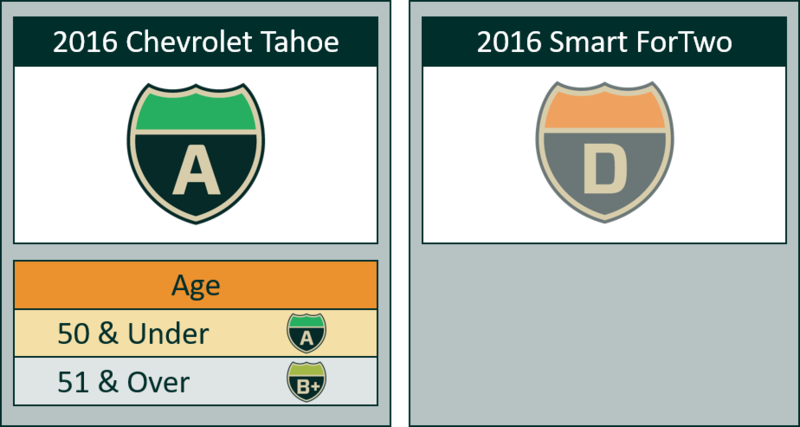 A 2016 Smart ForTwo receives a D, where a 2016 Chevrolet Tahoe receives an A. Since we don’t live in a world where all cars are the same, why would we rely on a rating system based on that assumption? 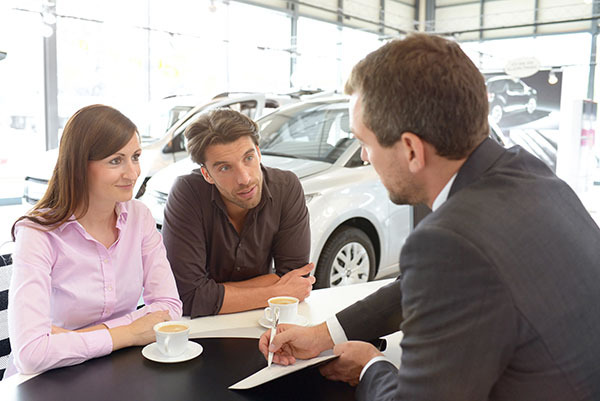 Auto Grades provide a much more meaningful way to evaluate the cars we rely on to protect ourselves and our families.